On the 50th anniversary of the global uprisings of 1968, we present a reading list to inspire the continued fight for freedom. It's been fifty years since the global revolts of 1968, when the existing order seemed on the brink of collapse and radical movements shook society around the world, from France, Mexico, Japan, Cape Town, and Palestine, to the US, UK, and Algeria. As we look back on the rich history of activism from the late 60s, what can we learn from the strategies and tactics of these movements, and how do we move forward to transform today's society in an era of entrenched capitalism that was unimaginable in the radical 60s? With new books from Donald Reid, new editions of classics from Tariq Ali and Max Elbaum, and important works from Angela Davis, Daniel Bensaïd, Sheila Rowbotham, and Henri Lefebvre, there's plenty to inspire a new generation of activists continuing the struggle. What makes a young radical? Reissued to coincide with the fiftieth anniversary of 1968, Street Fighting Years captures the mood and energy of an era of hope and passion as Tariq Ali tracks the growing significance of the 1960s protest movement, as well as his own formation as a leading political activist. This edition includes the famous interview conducted by Tariq Ali and Robin Blackburn with John Lennon and Yoko Ono In 1971. It would take William F. Pepper, attorney and friend of King, thirty years to get to the bottom of a conspiracy that changed the course of American history. In 1999, the King family, represented by the author, brought a civil action lawsuit against Loyd Jowers and other co-conspirators. Seventy witnesses set out the details of a plot that involved J. Edgar Hoover and the FBI, Richard Helms and the CIA, the US military, the Memphis police, and organized crime. The jury took an hour to find for the King family. Now fifty years after MLK’s execution, An Act of State demonstrates the bloody depths to which the US government will descend to repress a movement for change. In 1973, faced with massive layoffs, workers at the legendary Lip watch firm in Besançon, France, occupied their factory to demand that no one lose their job. They seized watches and watch parts, assembled and sold watches, and paid their own salaries. Their actions recaptured the ideals of May 1968, when 11 million workers had gone on strike to demand greater autonomy and to overturn the status quo. In his riveting account of these events, first written in 1970, Tariq Ali offers an eyewitness perspective on history, showing that this powerful popular movement was the only successful moment of the 1960s revolutionary wave. The victory led to the very first democratic election in the country and the unexpected birth of a new state, Bangladesh. This dramatic and extensively researched book breathes new life into the story of Ernesto “Che” Guevara. It portrays his revolutionary struggle through the appropriate medium of the underground political comic—one of the most prominent countercultural art forms since the 1960s. The three-volume text by Henri Lefebvre is perhaps the richest, most prescient work about modern capitalism to emerge from one of the twentieth century's greatest philosophers and is now available for the first time in one complete volume. Written at the birth of post-war consumerism, Critique was an inspiration for the 1968 student revolution in France. It is a founding text of cultural studies and a major influence on the fields of contemporary philosophy, geography, sociology, architecture, political theory and urbanism. The extended critical interview is especially flexible as a form, by turns tenacious and glancing, elliptical or sustained, combining argument and counter-argument, reflection, history and memoir with a freedom normally denied to its subjects in conventional writing formats. Lives on the Left brings together sixteen such interviews from New Left Review in a group portrait of intellectual engagement in the twentieth century and since. Eric Hazan takes the reader on a walk from Ivry to Saint-Denis, roughly following the meridian that divides Paris into east and west, and passing such familiar landmarks as the Luxembourg Gardens, the Pompidou Centre, the Gare du Nord and Montmartre, as well as forgotten alleyways and arcades. Weaving historical anecdotes, geographical observations, and literary references, Hazan’s walk guides us through an unknown Paris. With the aid of maps, he delineates the most fascinating and forgotten parts of the city’s past and present. Mike Marqusee argues that Ali was not only a boxer but a remarkable political figure in a decade of tumultuous change. Playful, popular, always confrontational, Ali refashioned the role of a political activist and was central, alongside figures such as Malcolm X and Martin Luther King, to the black liberation and the anti-war movements. Marqusee shows that sport and politics were always intertwined, and this is the reason why Ali remained an international beacon of hope, long after he had left the ring. The student protests of 1968, followed by the Hot Autumn factory strikes of 1969, shook the foundations of the Italian Republic. They also prepared the way for a whole decade of intense and widespread social conflict—a decade in which militant social movements arose with new aspirations, centered on protagonists such as women, young people and the unemployed. 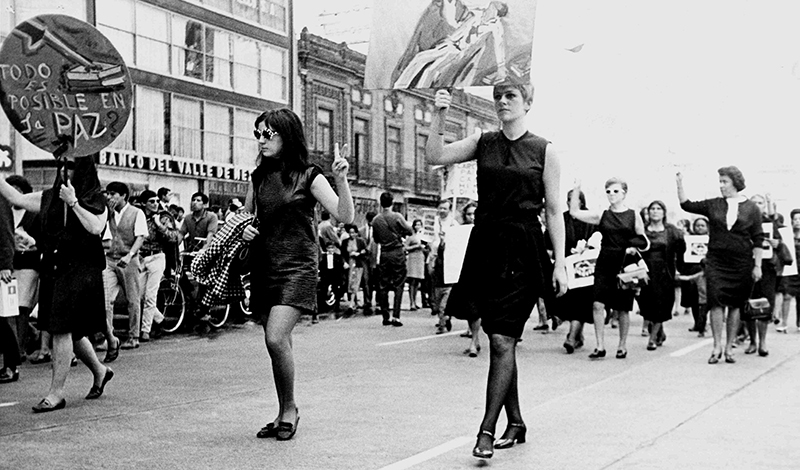 States of Emergency provides a vivid reconstruction of the events and movements of that period—from the students of 1968 to the Autonomists of 1977. Luciana Castellina is one of Italy's most prominent left intellectuals and a cofounder of the newspaper il manifesto. In this coming-of-age memoir, based on her diaries, she recounts her political awakening as a teenage girl in Fascist Italy—where she used to play tennis with Mussolini's daughter—and the subsequent downfall of the regime. Discovery of the World is about war, anti-Semitism, anti-fascism, resistance, the belief in social justice, the craving for experience, travel, political rallies, cinema, French intellectuals and FIAT workers, international diplomacy and friendship. The Situationist International (SI), led by the revolutionary Guy Debord, were active throughout the 1950s and 60s. They published the journal Internationale Situationniste that included many incendiary texts on politics and art, and were a galvanizing force in the revolutions of May 1968. See all of our 1968-related reading and here.